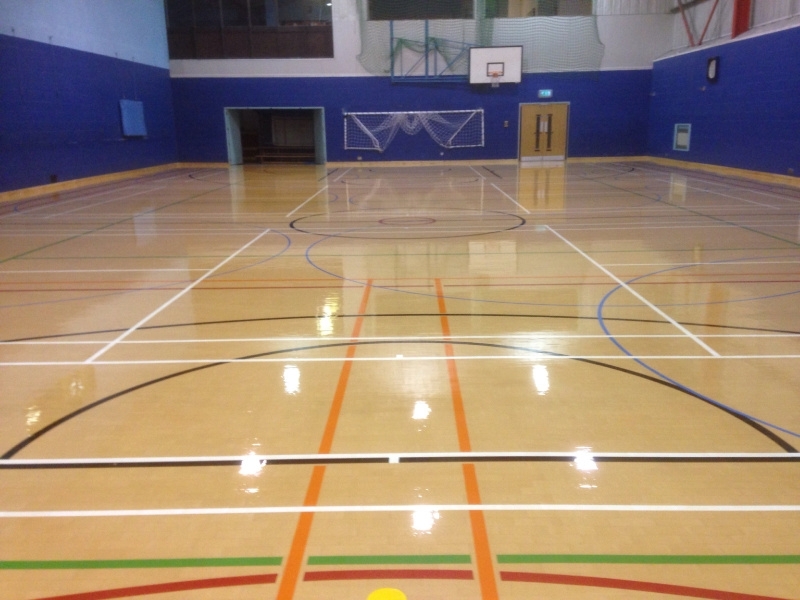 If your sports hall floor is looking tired, has lost its slip resistance or the lines don’t meet you current need or Sports Council standards, then we can help. The Ultimate Floor sanding Company has many years of experience and many sports halls “under its belt” As well as using the very latest dust free machines we also only use lacquers of the highest quality that are guaranteed to be durable and slip resistant to BS, EN and DIN standards. 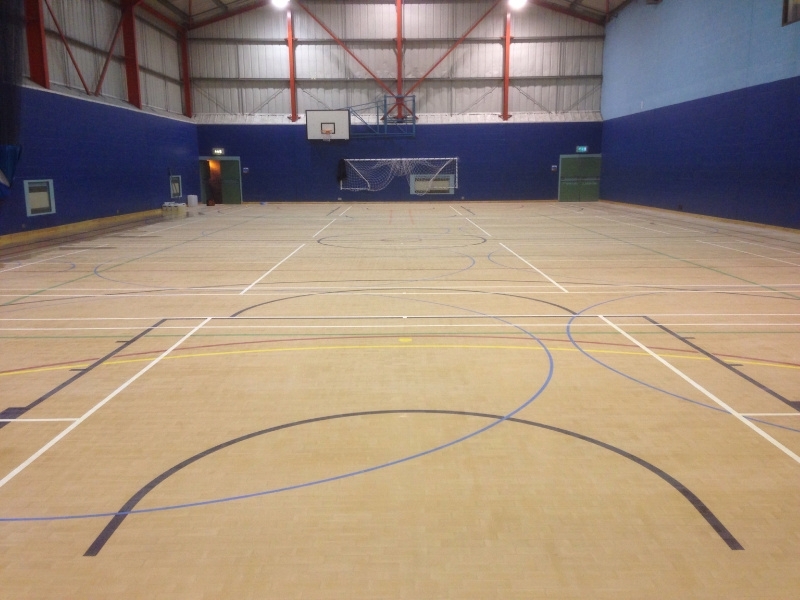 Your sports hall will be accessed by a local Ultimate Floor Sanding Affiliate. HE or she will check not only the condition of the existing floor finish but look for damage to the structure of the floor itself in order to be certain that it is in fit condition for sanding. He may advise that repairs are necessary and can include that in any quotation. He will also take moisture and temperature readings in the wood and also check air temperature and humidity. He does this to ensure the site conditions are correct for the type of finish being applied as this is critical to your future product guarantee. If you decide to go ahead with their quotation to re finish the sports floor they will need to “take ownership” of that floor for the time he is there. Since ANY contamination of the wood or lacquer can lead to later failure it is vital that the sports floor remains unused during the period the work is carried out. The floor will be sanded using the very latest dust free equipment and one coat of primer will then be applied. Allowing for the correct drying time the first coat of lacquer will then be put down. The following day this coat will be gently abraded before the sports line marking paint is applied and finally two coats of lacquer will be applied over the top. We do not use line marking tape and our markings are “locked in” under TWO coats of lacquer. Following completion of the work your local contractor will advise you on the correct maintenance of you floor, this is vital to retain the slip resistance.